This week the world said goodbye to former Nintendo President Hiroshi Yamauchi, a man who influenced the video game industry - from its infancy and well beyond - perhaps as much as anyone. 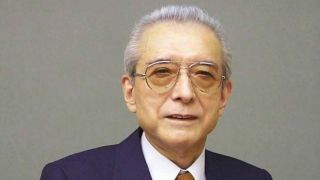 Yamauchi, 85, was president of Nintendo from 1949 to 2002, when he stepped down and was replaced by current President Satoru Iwata. During those 53 years, he transformed Nintendo from a humble playing card maker to the global video game company it is today. If you're a gamer, Hiroshi Yamauchi impacted your life. Here are five ways how. Yamauchi hired Shigeru Miyamoto, the single most important visionary in all of game design, in 1977, when Nintendo was just beginning to transition away from playing cards and into video games. Needless to say, this hire paid off. Miyamoto at E3 2013. Responsible for Mario and much more. Miyamoto interviewed for his job directly with Yamauchi, and the Nintendo head later assigned the game designer with the project that led to the creation of Mario and Donkey Kong. Miyamoto went on to create The Legend of Zelda, Kirby, Pikmin, Metroid, Earthbound, F-Zero and others still. He even had a hand in the development of the original Pokèmon games, which helped popularize Japanese culture in the U.S.
And it was all thanks to Yamauchi, who clearly saw a spark of something special in the young designer. Yamauchi-san oversaw everything at Nintendo, from toys and trinkets to games and hardware, for over five decades. During that time the company made products ranging from vacuum cleaners to action figures, but its most notable contributions were the Nintendo Entertainment System ("Famicom" in Japan) and the Super Nintendo (the Super Famicom). After its success with Donkey Kong in arcades, Nintendo conquered the home console market with the NES and SNES. The Nintendo 64 and the GameCube came after, but they did not rule the gaming industry the way Nintendo's two earlier consoles had. With an incredible lineup of exclusive Miyamoto-designed games that no other game company could match, the NES and SNES generations to this day boast arguably the most solid lineups of any console. It wasn't just Nintendo that Yamauchi benefitted with the NES; the entire video game industry did. It's a well-known fact that when the "Atari bubble" popped in the early 1980s, most people thought home game consoles were done forever. But against all odds (and probably the advice of others) Yamauchi made the call to launch the NES (already successful as the Famicom in Japan) in North America in 1985. By 1990, the NES is said to have globally outsold every previous home gaming console combined. Research from the site Statistic Brain credits the system with over 60 million sales total as of 2012. The NES single-handedly revived the ailing home game console market, and the rest is history, as any gamer knows. But Yamauchi's legacy goes far beyond home consoles. If you enjoy playing games on your 3DS or PS Vita - or even on your smartphone or tablet, one could argue - then you owe him thanks for taking a chance on the original Game Boy. Legend has it Yamauchi hired the Game Boy's creator, Gunpei Yokoi, on a whim after seeing a toy that the then-janitor had made in his spare time. Yokoi went on to create Nintendo's Game & Watch systems and of course the iconic and seminal Game Boy. Yokoi even supervised Shigeru Miyamoto's earliest creations, like Donkey Kong and Mario Bros. Of course, he also created the Virtual Boy, so it wasn't all success. Under the leadership of current Nintendo president Satoru Iwata, Nintendo has seen success with the DS, 3DS and Wii consoles (its success with the Wii U remains to be seen). But it was the creations under Yamauchi's tenure that have truly been Nintendo's lasting legacy. From the Game Boy to Mario himself, Nintendo is still revisiting the characters and ideas that were begun when Yamauchi was in charge. And the creative geniuses that Yamauchi hired saw Nintendo rise to the top of the gaming industry and maintain a solid position there. Nintendo is facing stiff competition from Sony and Microsoft these days, but in the face of these all-encompassing entertainment and hardware conglomerates, Nintendo has stayed true to its roots: making video games that it hopes are fun for everyone. Whether it's always been successful at that is almost irrelevant in the face of such philosophical consistency, and sometimes it seems like Nintendo will always have its fans. Yamauchi saw the talent in creators like Miyamoto and Yokoi before anyone else could have. But that's not all - he also took chances on them that led to the creations of some of gaming's most iconic products, games and characters. Nintendo, under Yamauchi's leadership, has touched and will continue to touch more lives than can be counted. The man himself has moved on to another castle, but his legacy lives on. Nintendo actually has a whole new piece of hardware, the Nintendo 2DS.